For those who already got their hands on Casablanca, you’ve probably noticed my quick chicken tagine hand pies on page 133. These little babies are the perfect handheld snack or tasty entrée for a Moroccan feast. They are packed with Moroccan flavours and so easy to make. 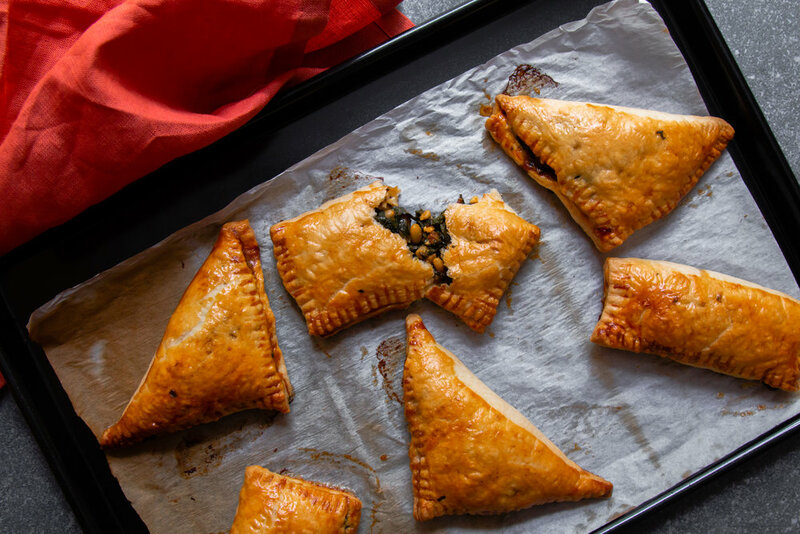 When I was recipe developing for the book I really hesitated between the chicken hand pies and a vegetarian version of them. The vegetarian version contained bakoula and lots of other tasty things (recipe is below) but since I already had a recipe for Romano peppers stuffed with bakoula in the book I preferred to go with the chicken ones. And today is the day I finally get to share it with you! Bakoula is a Moroccan salad originally made with mallow but I also love to make it with Swiss chard, and with feta and pine nuts bakoula just keeps getting better! For those who don’t have their copies of Casablanca yet and are not based in the UK, I’ve got some news. Check out this page to find out the publishing date for other countries, some of you might already be able to pre-order their copy! YAY! • Preheat the oven to 220°C (200°C fan). • To make the bakoula salad, heat the olive oil in a large saucepan over a medium-low heat. 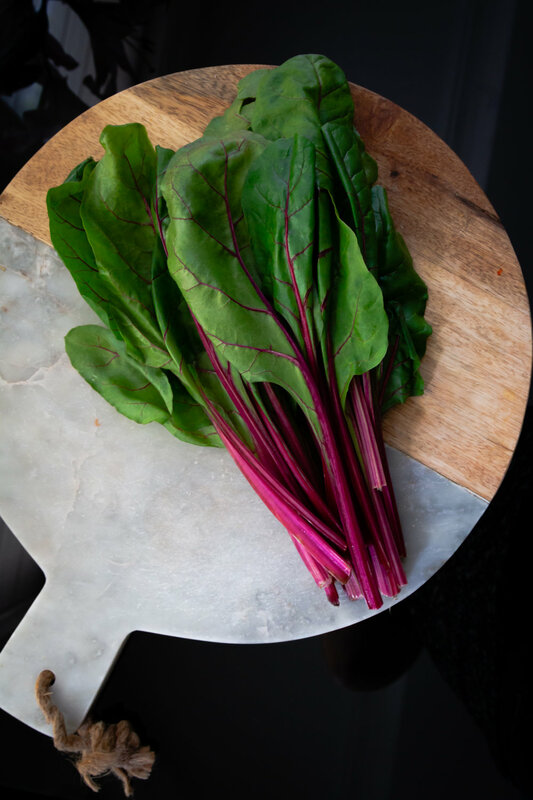 Add the Swiss chard and then stir in the remaining ingredients, cover the pan and cook for about 8 minutes until the chard is soft. Uncover the pan and cook for a further 5 minutes or until all the liquid has evaporated, stirring occasionally. Taste and adjust the seasoning, adding more salt if necessary. Remove the pan from the heat and stir in the feta and pine nuts. leave the filling to cool to room temperature, when you can start assembling the hand pies. Alternatively, transfer the filling to a bowl, cover with clingfilm and refrigerate until ready to use; it will keep for up to 2 days. • Unroll your pastry sheets on to a work surface and cut each sheet into squares or rectangles. Spoon about 4 tablespoons of the filling in the centre of each square/rectangle. Fold one corner over the filling to meet the opposite corner to form a triangle or a rectangle, then seal the edges by pressing down with the tines of a fork. • Place the turnovers on the lined baking tray, leaving about 2cm between them. Brush their tops with the beaten egg and bake for about 20 to 25 minutes until golden brown.